I think we all wish we were a bit more positive in our life. 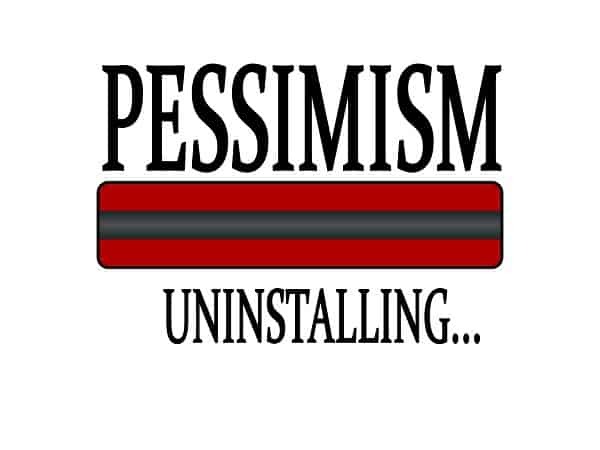 After all, we tend to be a bit negative and pessimistic in our life. We always think that things will go wrong when it comes to stressful situations. In fact, we can spend ages worrying and thinking negative thoughts about the occasion. But in the end, when things don't go as bad as we thought they would, we regret spending so long worrying and stressing about the situation. However, it's easier said than done when it comes to attempting to be more positive. After all, negative thoughts can be really hard to shift. But if you don't take steps to remove them from your mind, you could end up heading down a bad path. This can lead to depression or anxiety if you allow yourself to be overwhelmed by negative thoughts. So here is how to remove negativity from your mind and to be more positive in the future. It's so easy to be overwhelmed with negative thoughts. Everything might be going wrong in your life, and you can only see more bad happening in the near future. But while you might be going through a bad path, there will be light at the end of it all. And to help you to remove negativity from your mind, you need to focus on the good things in your life now and in the future. After all, it can take your mind off the bad things going on in your life if you focus on the good. Even if it's something small such as a trip to see friends or even thinking about your child, it can turn your mind from negative to positive. And you will feel a lot happier about your life and stressful situations that might arise. Therefore, as the old saying goes, look on the bright side of life to ensure you are happier in your mind. You might be surprised when you think of the actual nice things in your life, and compare them to what others are going through which might be miles worse; it can really boost your mood and help you to look at things differently. You might be surprised to know that sometimes you can be experiencing a lot of negativity down to your health not being in the best order. For one thing, lack of sleep often leads to a low mood. It can send your hormones askew which can send negative thoughts to your mind. And you might struggle to boost your mood. Therefore, make sure you try and get more sleep every night to help you cleanse your mind. Also, you need to have a good look at your diet if you are experiencing lots of negative thoughts. If you are eating lots of high fat and sugary food, it can have an impact on your mood. And it can make you think more negatively in your life. Therefore, cleanse your mind by altering your diet so it's a lot healthier. Get rid of the bad food and include nutritious food which will help to boost your mood. You will feel a lot healthier and happier if you do stick to a better diet. Remember that exercise is also good for releasing positive endorphins into your mind. You will soon feel a lot happier if you go for a brisk walk or even by doing some yoga. And while you are getting rid of negativity from your mind, you will also be shedding some pounds too which will be useful. If you are just focusing on the bad things in your life, you are really going to get stuck in a rut. You will find you will just sink deeper into this miserable hole, and then it can be a long and hard way to get out. Therefore, if you want to remove negativity from your life and mind, you need to set yourself something else to do. It might be the case you join a new course so that you can learn something new. Throwing yourself into learning a new language or skill can really put your mind to better use. And it can help you feel a lot more positive in your life. You might also want to set some new goals such as aiming to go travelling to a particular place you have always wanted to go to or even finding a new job which fulfills you. Put your focus on doing that and hopefully accomplishing your goal and you will soon feel a lot more positive in your life. You will find that once you reach your goals, you will definitely remove some of the negativity from your mind. And it doesn't have to be something too difficult or hard to do. It might be just planning out your week ahead or even completing a game if that's your kind of thing. It will definitely take your mind elsewhere for a while at least. And remember that other people are there to help. So if you want to remove negativity from your mind, why not talk to someone else. While you are opening up to a friend or family member, you will feel a lot clearer in your mind. Sharing your woes with someone else can lighten the load. They will hopefully cheer you up and the negativity in your mind will soon be a distant memory.